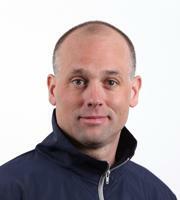 Jeff Blashill (Sault Ste. Marie, Mich.), who recently completed his third season as head coach of the NHL's Detroit Red Wings and guided the 2017 U.S. Men's National Team to a 6-0-0-2 (W-OTW-OTL-L) record, has been named head coach of the 2018 U.S. Men's National Team it was announced today by USA Hockey. The squad will compete in the upcoming International Ice Hockey Federation Men's World Championship, set for May 4-20 in Herning and Copenhagen, Denmark. Blashill will be joined by assistant coaches Dan Bylsma (Grand Haven, Mich.), Don Granato (Downers Grove, Ill.) and Seth Appert (Cottage Grove, Minn.). A year ago, Blashill guided the U.S. Men's National Team to a fifth-place finish in his international head coaching debut at the 2017 IIHF Men's World Championship in Cologne, Germany, and Paris, France. Overall, the 2018 IIHF Men's World Championship marks the fifth time Blashill will be behind a U.S. bench after having served as a goaltending coach for the 2009 U.S. National Junior Team as well as an assistant coach for the U.S. Junior Select Team that won the 2009 World Junior A Challenge and the U.S. Under-18 Men's Select Team that earned second place at the 2006 Ivan Hlinka Memorial Tournament. Before joining Detroit, Blashill was head coach of the Grand Rapids Griffins, the Red Wings' AHL affiliate, for three seasons (2012-15). In 2012-13 he led the Griffins to its first Calder Cup championship in the 17-year history of the franchise. Dan Bylsma is representing the U.S. as a coach for the third time. The head coach of the 2014 U.S. Olympic Men's Ice Hockey Team in Sochi, Russia, Bylsma most recently served as an assistant coach for the bronze medal-winning 2015 U.S. Men's National Team. Bylsma, who won the Stanley Cup in his first season as head coach of the Pittsburgh Penguins, currently ranks first all-time among Pittsburgh bench bosses with 252 wins he accumulated during his six seasons with the organization. He also served two seasons (2015-17) as head coach of the NHL's Buffalo Sabres. Don Granato, assistant coach for the NHL's Chicago Blackhawks, will be an assistant coach on a U.S. Men's National Team for the second time after fulfilling the same capacity in 2014. He has significant experience on the international stage, having led the U.S. Under-18 Men's National Team to gold (2015) and silver (2013) medal finishes at the IIHF Under-18 Men's World Championship as head coach, while also serving as an assistant for the 2015 U.S. National Junior Team. Granato was a head coach at USA Hockey National Team Development Program from 2011-17 and during that time guided the NTDP's U.S. National Under-18 Team to a pair of championship wins at the Under-18 Four Nations Tournament (2012, 2014) in addition to leading the U.S. National Under-17 Team to titles at the Four Nations Tournament (2013), World Under-17 Hockey Challenge (2013) and Under-17 Five Nations Tournament (2014). Seth Appert, currently in his first season as a head coach with USA Hockey's National Team Development Program, returns as an assistant coach for Blashill and the U.S. Men's National Team for the second straight year. The head coach of the U.S. Under-18 Men's National Team that will compete in the 2018 IIHF Under-18 Men's World Championship from April 19-29 in Chelyabinsk & Magnitogorsk, Russia, Appert was an assistant coach for last year's gold medal-winning 2017 U.S. Under-18 Men's National Team. His other USA Hockey coaching experience includes two stints as head coach (2008, 2011) and one as assistant coach (2007) of the U.S. Under-18 Men's Select Team that competed in the Ivan Hlinka Memorial Cup. USA Hockey also announced today the support staff for the 2018 U.S. Men's National Team, including director of hockey operations Kevin McLaughlin (Colorado Springs, Colo./USA Hockey); team leader Bob Webster (Centennial, Colo./USA Hockey); video coordinator Adam Nightingale (Cheboygan, Mich./Detroit Red Wings); athletic trainers Stan Wong (Boca Raton, Fla./USA Hockey) and Dave Zeis (Prosper, Texas/Dallas Stars); equipment managers Scott Aldrich (Colorado Springs, Colo./USA Hockey) and Mark DePasquale (Chicago, Ill./Calgary Flames); team physician Dr. Charles Popkin (Westchester, N.Y./USA Hockey); massage therapist PeeWee Willmann (Hannover, Germany/USA Hockey) and communications manager Jon Gomez (Colorado Springs, Colo./USA Hockey). NOTES: NHL Network is the exclusive U.S. TV home of the IIHF Men's World Championship ... The staff and players of the 2018 U.S. Men's National Team are selected by Bill Zito (Columbus Blue Jackets), general manager of the 2018 U.S. Men's National Team along with members of the U.S. Men's National Team Advisory Group that includes Stan Bowman (Chicago Blackhawks), David Poile (Nashville Predators), Ray Shero (New Jersey Devils), Dale Tallon (Florida Panthers), and Jeff Gorton (New York Rangers) ... For complete coverage of the U.S. Men’s National Team, visit teamusa.usahockey.com/2018mensworlds … The official online home of the 2018 IIHF Men’s World Championship is 2018.IIHFWorlds.com … USA Hockey expects to name the initial players part of the roster later this week … The U.S. has finished in the top four of the world championship in three of the last five years ... USA Hockey's international council, chaired by Gavin Regan (Potsdam, N.Y.), has oversight responsibilities for all U.S. national teams.